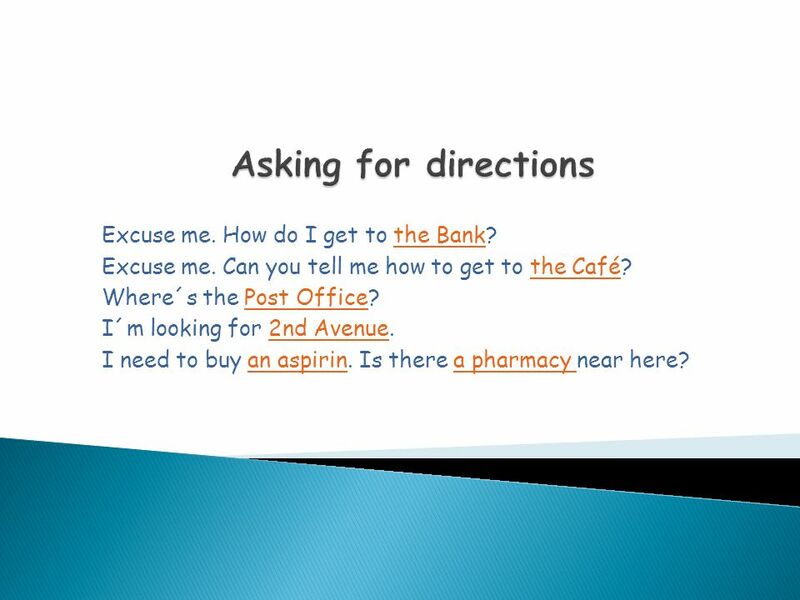 There are many ways to give directions. 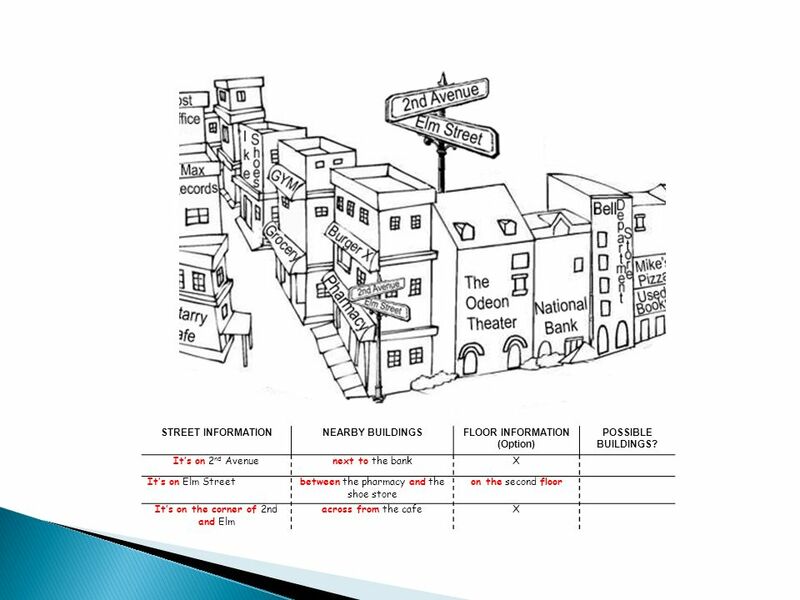 One common way is to give the name of the street and then some building nearby. 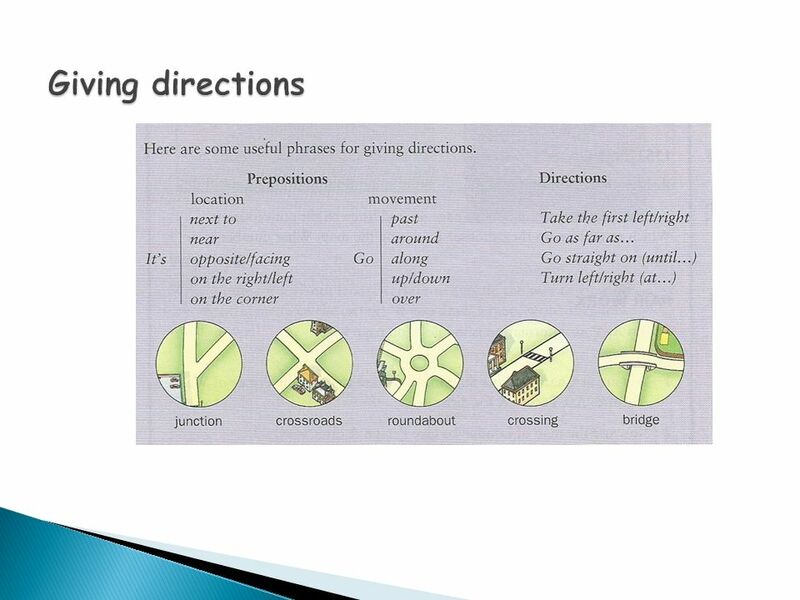 5 There are many ways to give directions. 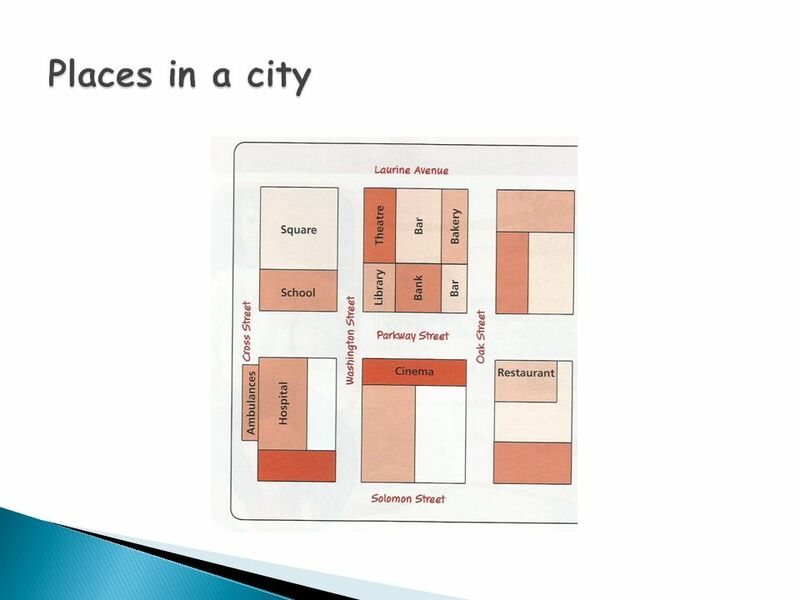 One common way is to give the name of the street and then some building nearby. 8 Excuse me. How do I get to the Bank? Excuse me. Can you tell me how to get to the Café? Where´s the Post Office? I´m looking for 2nd Avenue. I need to buy an aspirin. Is there a pharmacy near here? 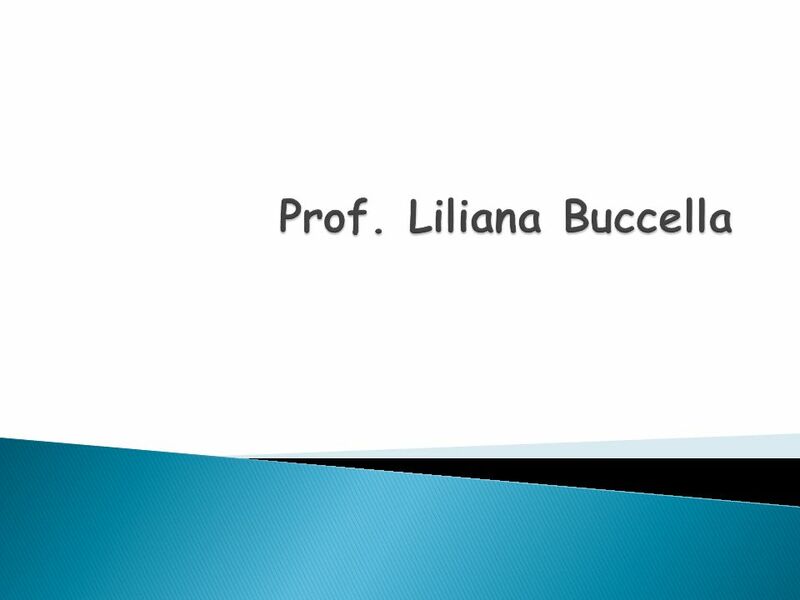 Download ppt "There are many ways to give directions. 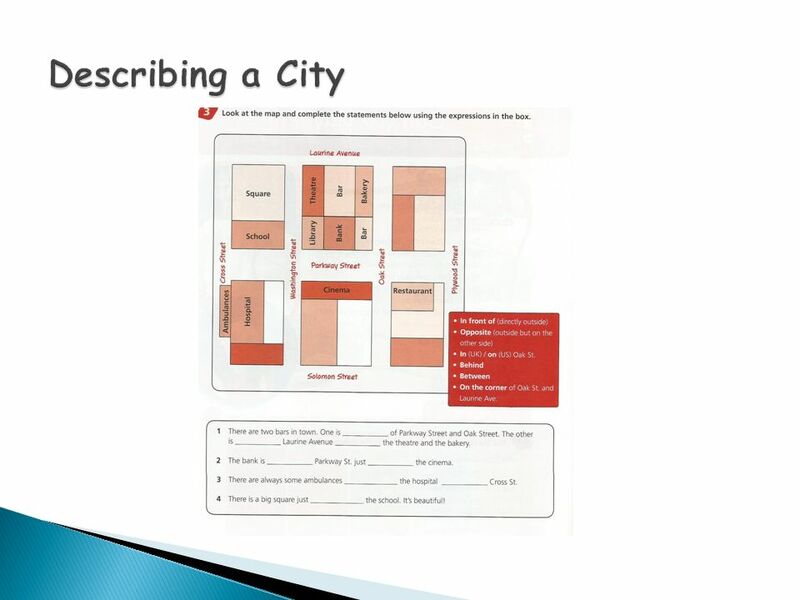 One common way is to give the name of the street and then some building nearby." Dirty clean. big new clean oldsmalldirty a busy street a quiet garden. Asking for and giving directions in the street. 366,84 m2 114,09 m2 220,84 m262,34 m2 Renaissance Premium have 2 underground parking floors which let 66 cars to park safely. 1 st Floor Bank Cafe Renaissance. Key Expressions. Go straight Turn right Turn left. Unit 1 Where’s the post office? Jewel post office bank Do you know these places? pay phone library. Unit 2 Where’s the post office? Period I ZHONG YA STREET XIAO YUAN ROAD shool W C restaurant shop market hotel Supermarket KA SHI ROAD Video arcade. GOOD MORNING. Dear friends! We are the English students of Dreamtown School. 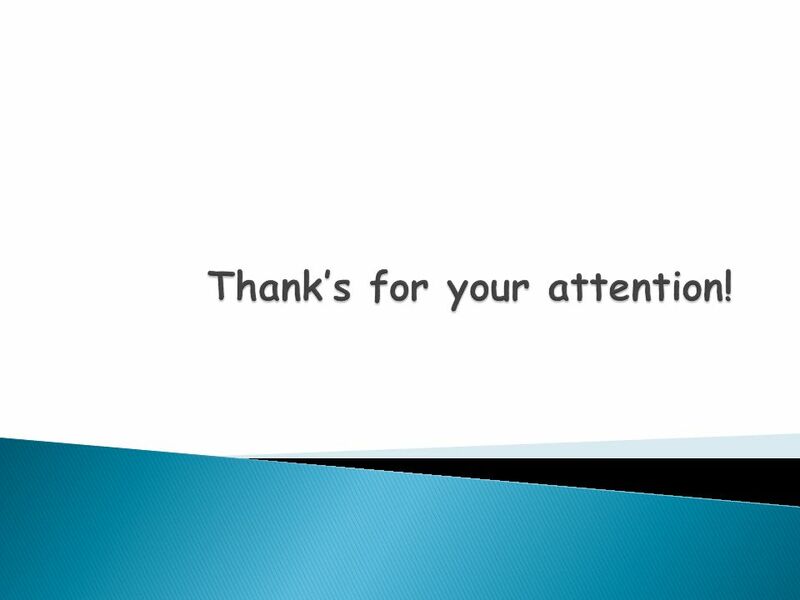 And we are glad to invite you to our nice town! Come and have nice time with. 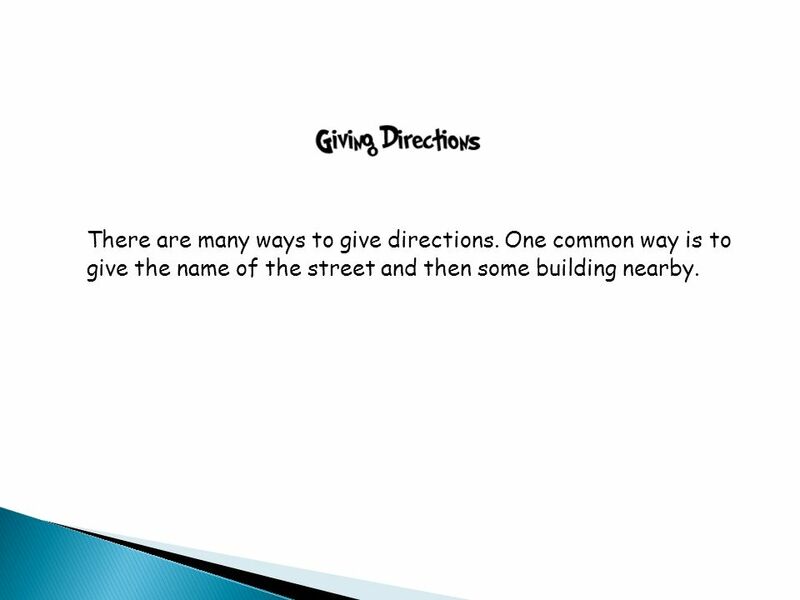 ASKING & GIVING DIRECTIONS 3. 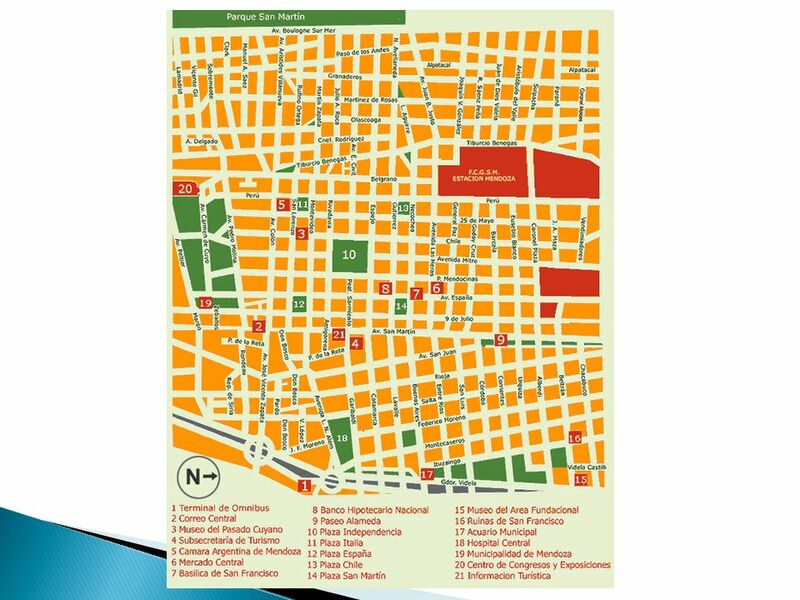 1.Tourist office 2.Restaurant 3.Train station 4.Bus station 5.Subway Station 6.Hotel 7.Youth Hostel 8.Museum 9.Souvenir.